The analytical power of ion mobility spectrometry-mass spectrometry (IMS-MS) instruments is poised to advance this technology from research to analytical laboratories. 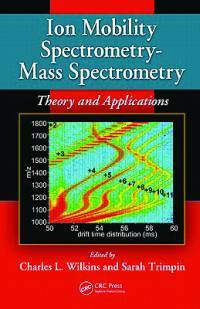 This book covers the tools, techniques and applications involved when molecular size and shape information is combined with the well-known analytical advantages of high-performance mass spectrometry. This work helps readers unfamiliar with IMS-MS to understand its fundamental theory and practical applications. It also encourages them to investigate the potential analytical uses of IMS-MS and further explore the power of this method. The book is co-edited by Sarah Trimpin, assistant professor of chemistry at Wayne State University, Detroit. Wilkins’s current research interests include mass spectrometry of polymer and copolymer materials, Fourier transform mass spectrometry, and the development of new methods to improve the utility of analytical mass spectrometry. He is the editor or author of eight previous books and the author of more than 235 scientific papers and 21 book chapters.